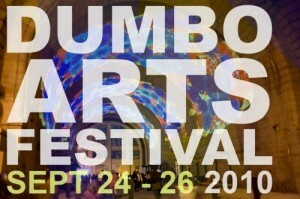 The DUMBO Arts Festival runs September 24 to 26 and offers FREE events including musical performances by the likes of Tom Verlaine with Billy Ficca Mecca Bodega, The Himalayas, and more as well as visual and performance artists, authors like Jonathan Lethem reading, and fun for the family. RICE not surprisingly offers a pretty intense variety of rice, from brown to Bhutanese red. Most of the rice based dishes come in large and small sizes. Right below RICE is Low Bar, an extremely convenient place to grab a drink and catch some great DJs spin in a lounge environment. Right off the water, with a view of the South Street Seaport and the Brooklyn Bridge so close you can touch it, the only thing that could make this view better is ice cream. You’ll usually find a long line for Brooklyn Ice Cream Factory, but the sweet flavors are worth it! The haunted house has become quite a tradition here in NYC in the last few years as the concept has evolved into a first person experience fit for a horror film. At this year’s Nightmare: Superstitions the setting is an insane asylum and superstitions will set you free and there will be plenty of frights along the way. One of the six Italian eateries of celebrity chef Mario Battali, Babbo takes Italian American cooking to another level. While the food can be expensive and reservations would be the best way to get a table, this place is highly regarded among food connoisseurs is is nothing short of amazing. Disguised as a lounge The Dove is really a neighborhood bar dressed up in red, white, and gold décor with a nice selection of beers on tap and a very good mixed drink menu featuring delicious martini’s. One of my favorite coffee houses, Café Reggio has the most literate and West Village atmosphere I have been to. 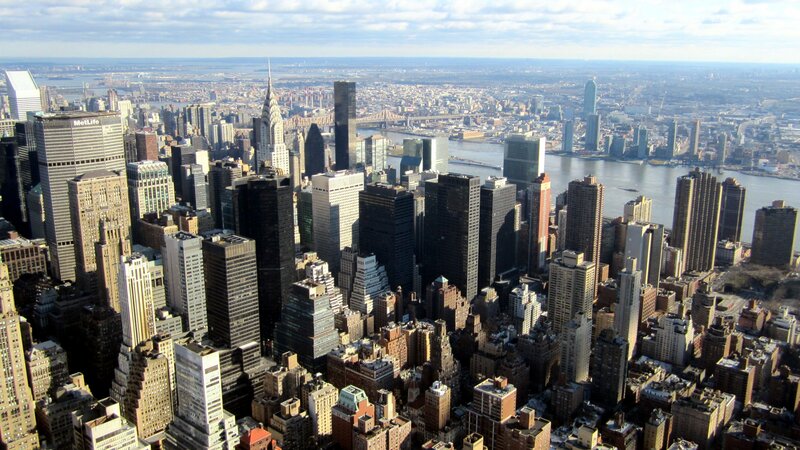 A real slice of New York, it was also in the movie Superfly. Go there or be square! In the art exhibition Yoshitomo Nara: Nobody’s Fool, this is Nara’s first showing in New York. 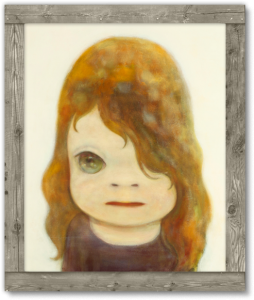 As one of the leaders of Japan’s Neo Pop genre, he specializes in depictions of children and animals and here his works featured include more than 100 works from his early career in the 1980s to his most recent paintings, drawings, sculptures, ceramics, and large-scale installations. If you love dogs, not hot dogs but real doggies, then you’ll really love the Barking Dog Luncheonette, as the décor features everything with a dog on it. The food is your regular diner fare with plenty of burger, sandwich, and hot plate options. Grab a drink and feel like you were transported to the late 1800’s at The Auction House. With ornamental red velvet couches, exposed brick walls, and vintage chandeliers, this hidden gem of a bar is cozy. Beautifully designed, Uptown Lounge is a bar and restaurant serving American fare like Apple Peppercorn Pork Chops ($18), while being big enough to stick around afterwards for drinks. With a new album Tomorrow Morning, the third in a trilogy of albums from the Eels that explores themes of desire, loss, and redemption, the band returns to NYC to perform. Though small, Empanada Mama packs a hefty punch with more than 40 kinds of empanadas. Choose from a wheat or corn flour shell to start as ingredients include basic rice and beans to what they have dubbed “Viagra,” a wheat flour empanada stuffed with shrimp, scallop, and crab ($3). For drinks, I’d recommend the wine bar Xai Xai. With a South African theme, this darkly designed spot is great for a date as well as for before or after event drinks. The wines are incredible and they even have fondue! An alternative wine bar, Vintage has a wine list with over 200 wines by the glass or bottle from most of the boutique wineries in Long Island and Upstate New York. Brazillian musician Pedro Moraes is considered one of Brazil’s leaders of its pop music scene, and live he does not disappoint. For fans of macrobiotics, tofu, seitan and even fish, Souen is great for healthy food that won’t have you feeling like you shouldn’t have ordered that. Try the Broiled Tofu Okabe, which sees thick slices of tofu, broiled and topped with a sesame and sake paste ($11). One of the oldest bars in the city, Ear Inn offers cheap pints in a timeless environment. Walk through the doors and it’s like you’re in the early 1900s, though the occasional ringing cell phone will bring you back to reality. Possibly one of the best sandwich shops in the city, Alidoro has 40 kinds of amazing Italian sandwiches, all named. 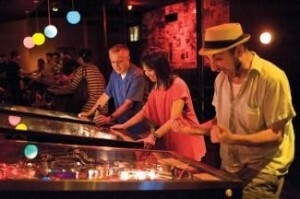 Be part of or just watch the hijinx as Satellite Lounge hosts the Brooklyn Pinball Championship where groups will play against each other for World Pinball Player Rankings. Prizes and trophies will be given. For dinner, The Lodge, with décor reminiscent of a log cabin and a menu coming from the same forest, serves comfort food in a warm and inviting setting. For drinks, Hope Lounge is a great stop. Exposed brick and earth tones mingle and the outdoor patio is big. The drink list is deep with beers from all over the world and tonight, expect a DJ to spin classic party jams. You may or may not have noticed The City Reliquary, a small storefront museum that shows artifacts of NYC, including a flashlight collection, but this place is definitely interesting to check out. Arrington de Dionyso normally fronts rock band Old Time Relijun but steps out solo and makes some seriously dark and brooding music that Nick Cave would be proud of. Also performing is Screens, psyche heavy outfit La Otracina, and Janka Nabay. Paladar, whose celebrity chef, Aarón Sanchez is from the Food Network show “Melting Pot,” delivers a Pan-Latino concept taking traditional Spanish fare and adding deliciously executed gourmet twists. Feeling retro? 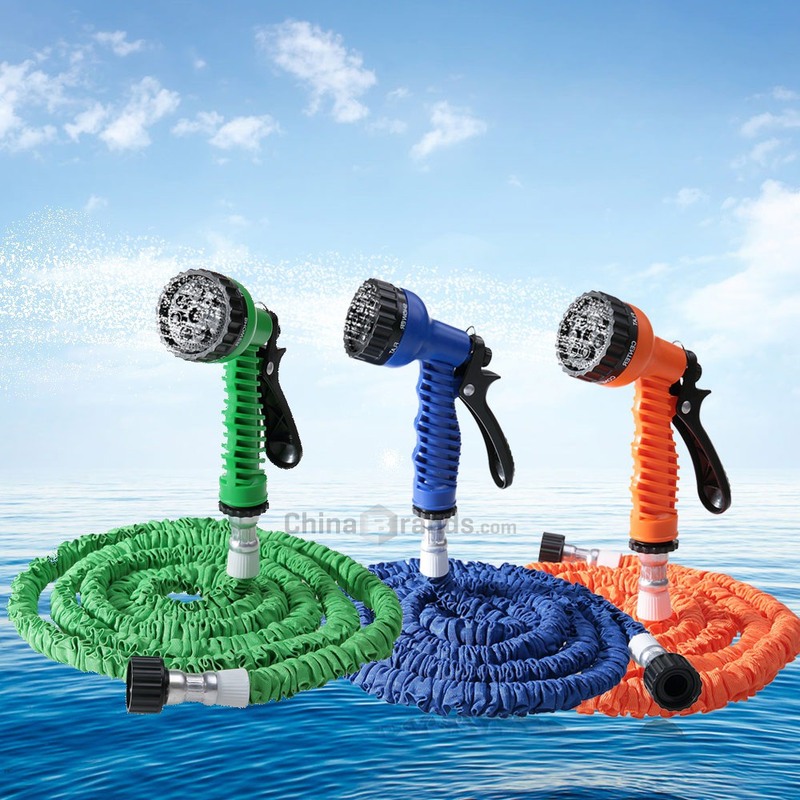 Then Welcome to the Johnsons is the place for you. It’s like being in your uncles wreck room from the 70s. With all wood paneled walls, plastic covered couches, and a Pac Man machine, this bar is out for a good time. Stop by Economy Candy and get a small taste of what it might be like to walk through Willy Wonka’s Chocolate Factory, minus the hijinks, as there’s all sorts of candy everywhere. A real NY landmark, it’s been around since 1937.